T’is the season for giving, and Gsalr.com would love to give you lots of prizes this holiday season! We’d like to introduce our 12 Days of Giveaways Sweepstakes. 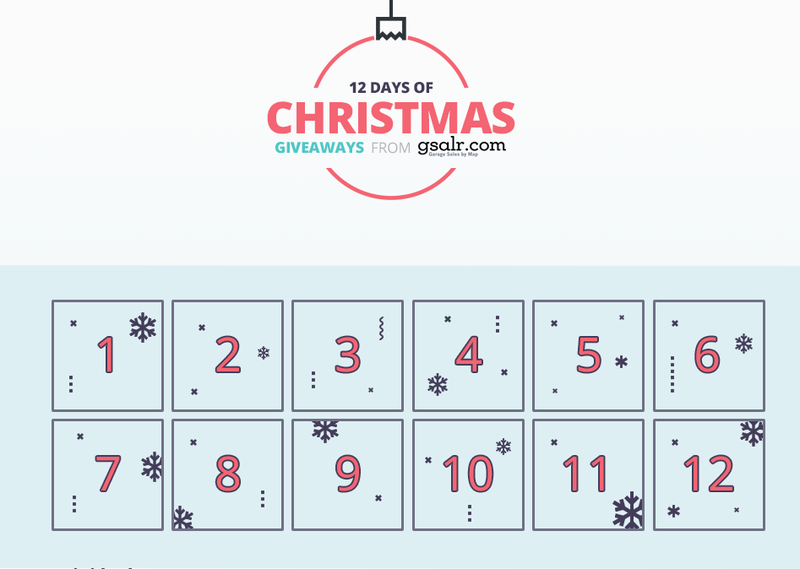 Each day between December 7-19, Gsalr.com will be giving away one prize to a lucky winner. Prizes include Amazon & Visa gift cards, Christmas DVD sets, Ugly Sweaters & more! All you have to do is visit our sweepstakes landing page and enter by clicking on the “Open” date available! Be sure to come back each day for a new chance to win! ← Holiday Gift Guide: 9 thoughtful gifts that are sure to make any yard sale lover happy!